filed: March 28, 2017 • Ohio, Press releases, U.S.
Camp Perry turbine would set dangerous precedent for the Great Lakes region. Two leading bird conservation groups, American Bird Conservancy (ABC) and Black Swamp Bird Observatory (BSBO), have filed a lawsuit against the Ohio Air National Guard (ANG) over its plans to build and operate a wind turbine at its Camp Perry facility. Located in Port Clinton, Ohio, on the shore of Lake Erie, Camp Perry lies in a major bird migration corridor, close to numerous Bald Eagle nests, and is likely to kill species protected under the Endangered Species Act such as Kirtland’s Warbler and Piping Plover. Filed in U.S. District Court today, the complaint alleges that the Camp Perry project violates the Endangered Species Act (ESA) and other federal laws protecting wildlife and the environment. “To have a government agency disregard the government’s own guidelines is not acceptable and, if left unchallenged, could encourage others to follow suit,” said Mike Parr, ABC’s Chief Conservation Officer. A recent radar study by the U.S. Fish & Wildlife Service found excessively high risks to birds and bats from wind turbines placed along the shores of the Great Lakes. “The Great Lakes region—the site of one of the world’s greatest confluences of migratory birds and bats—is perhaps the worst possible place for wind energy development,” said Michael Hutchins, Director of ABC’s Bird-Smart Wind Energy Program. ABC and BSBO are asking the court to halt the project and to require the ANG to obtain proper permitting and to conduct environmental impact assessments and other reviews called for under the ESA, the Migratory Bird Treaty Act, the Bald and Golden Eagle Protection Act, and the National Environmental Protection Act. In violation of these laws, ANG constructed the foundation for the turbine before completing the required assessments and consultations, and it has not sought the “take” permits required under the laws. ABC and BSBO are being represented in the case by the Washington, D.C.-based public-interest law firm of Meyer Glitzenstein & Eubanks LLP and ABC’s General Counsel, William Sheehan. 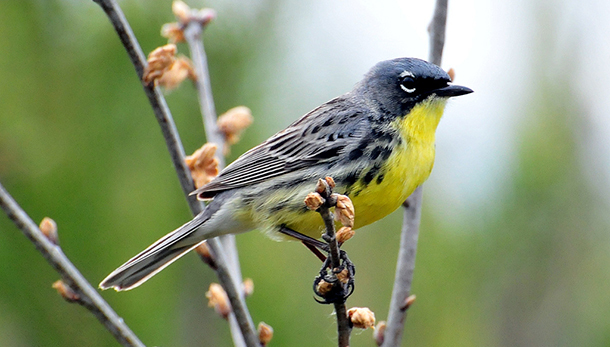 American Bird Conservancy is dedicated to conserving birds and their habitats throughout the Americas. With an emphasis on achieving results and working in partnership, we take on the greatest problems facing birds today, innovating and building on rapid advancements in science to halt extinctions, protect habitats, eliminate threats, and build capacity for bird conservation. Black Swamp Bird Observatory is a 501(c)(3) not-for-profit whose mission is to inspire the appreciation, enjoyment, and conservation of birds and their habitats through research, education, and outreach.